When not caring for her patients and work family, Jinkal Saini enjoys spending time with her two boys. Born in 2013 and 2015, her boys are her heart and soul. May that be playing soccer/hide-and-seek or working on creative projects for holidays, she loves being in their company. Apart from her family, she also takes pleasure in volunteering at the health fairs organized by a local religious community (Guru Gobind Singh Foundation, Rockville MD) and helps serve the indigenous population. 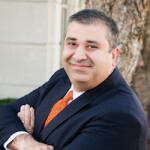 Jinkal Saini is an exceedingly well-trained Ob/GYN PA who has been providing great medical care to women of all ages at Congressional Ob/GYN since 2011. 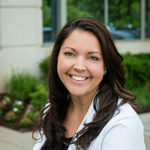 After completing her undergraduate studies in Biology and Psychology at Virginia Commonwealth University, she graduated from Shenandoah University Physician Assistant Studies Program with a master’s degree in December 2009. Post graduation, she worked in Pain Management specialty for a brief amount of time, where she gained a whole different perspective on people’s pain and suffering. She helped patients of various ages and backgrounds overcome their pain through joint injections, Myer’s infusions, and pharmacological as well as psychological therapy. She moved to Rockville, MD in 2011 after getting married and has been a part of Congressional Ob/GYN ever since. 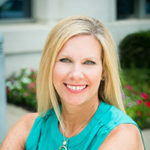 As a mid-level provider, she cares for patients ranging from teen to post-menopause ages for routine GYN care, routine obstetrical follow-ups, contraceptive care/procedures and problem visits. She thoroughly enjoys her work and finds it extremely rewarding. Seeing a new life enter this world and knowing that she had some part in it, gives her immense satisfaction and gratification. Being an immigrant to this country, she has attained a diverse cultural perspective that she tries to incorporate into her practice. 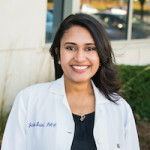 Her multi-language skills (English, Hindi, Punjabi, and Gujarati) allow for better communication with a range of patients residing in North Potomac/Rockville/Gaithersburg area and its vicinity. Jinkal Saini and the members of Congressional Ob/GYN family work as a team and each member of the team is extremely supportive. She has carried two pregnancies through this office and believes she couldn’t have found a better place to be at while pregnant. She was treated with the utmost care, love, and respect. She believes it is important to be around happy hearts and healthy minds when carrying a child and Congressional Ob/GYN provided that for her, and they always try to provide the same for all their patients.